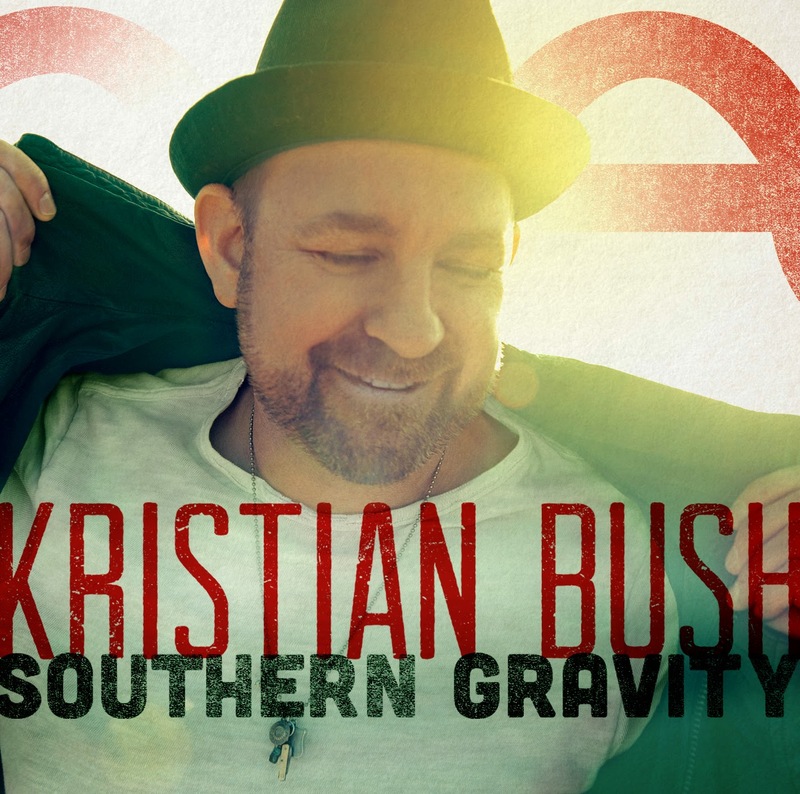 Country music singer-songwriter Kristian Bush is set to release his debut solo album, Southern Gravity on April 7th. Perhaps currently better known as one half of the hugely successful duo Sugarland, Kristian certainly proves his own talent throughout this release. Southern Gravity features twelve tracks, each co-written by Kristian and including some of the biggest country music song writers. Trailer Hitch was previously released as the lead single from the album (for my thoughts on the track click here) and Light Me Up has recently been announced as the second single. The album's title track has been a favourite of mine since I first heard it. Southern Gravity continues the reggae influence that is seen throughout the majority of the album and really suits Kristian's distinctive tone. Full of touching lyrics about home the track is very relatable and is delivered with a light-hearted, easy going feel that I am sure will really endear the track to listeners. Although it's not my favourite track from the album I would still suggest listening to Feeling Fine California. The track has an interesting mix of reggae and blues influences and the opening harmony between Kristian and Rebecca and Megan Lovell of Larkin Poe is brilliant. The only negative I would say for the track (and for the album as a whole) is that the lyrics feel like they run away a bit at points and are almost spoken which feels a little awkward. Whilst listening to the album I found some of the tracks really stood out for me, the real gem of which being the final track, House On A Beach. The overall instrumentalisation is perfect and Kristian delivers a really emotive, heartfelt vocal. The lyrics give a really strong mental image of the "house on a beach" and the listener really feels drawn into the track and drawn along with the story. House On A Beach is definitely the best track of the twelve to finish the album with, it seems to round the release out nicely. The journey of the production is clearly very well thought through as the instrumentalisation ebbs and fades, the main accompaniment coming from a repeated acoustic guitar line and slide guitar riff. Undoubtedly a really lovely track. Listening to Flip Flops does not hesitate to make me smile. With a story based around "just trying to stay on top of my flip flops" and lyrics like "I think I might have kissed a palm tree and asked it to be mine", Kristian delivers a great, light-hearted track. The slide guitar and whistled opening sets the track up well and Kristian sounds completely comfortable throughout. Waiting On An Angel is one of the only tracks on the album to feature female backing vocalists, in this instance from Rebecca and Megan Lovell of Larkin Poe and Kimberly Schlapman of Little Big Town, the three really contributing to the track. Walk Tall is another track I really liked, it's positioning after Waiting On An Angel allowing Kristian to change from a relaxed vocal delivery to a gutsy one filled with strength. The deeper melodic line works really well against the lyrical message, even on first hearing Walk Tall the listener can feel the power behind the track. What appeals to you most about country music as a genre? I think the way that it allows the stories of your life to be the connective tissue between you and a fan. Instead of style or celebrity it really is song. You've been part of a duo for many years, are you nervous to be releasing this album on your own? [laughs] I'm not very nervous, I'm excited! I guess if I was to say I was nervous it would be nervous just to watch people's faces as they figure out that I can sing. My favourite track on the album....I kind of have two of them. I'd say one of them is "House On A Beach" which is the very last one which is me really telling you the truth that I just need a day off. But I think the other one that I love is called "Giving It Up" which is right in the middle of the record. You've co-written every track on the album, which was the hardest to write? What was the hardest....that's a very good question....I would say probably....writing is a little bit more like breathing to me. I would say the biggest challenge was probably "Feeling Fine California". That's a story and it was a very difficult story to feel that I could deliver. In the end I think it worked out great. You've worked with some great female artists in the past, I'm interested to know who provides the backing vocals on Waiting On An Angel? Which track from the album is the most fun to perform live? "Trailer Hitch" is a lot of fun right now, just because I'm trying to make our band dance while we go through it and that's kind of fun! But I really really love "Giving It Up", it's turned into quite a live experience. Which track are you most proud of out of all of the records you've ever released? Goodness, that's a big question! There's a song called "Fall Into Me", it's on "Love On The Inside", I think it's on the fan expanded edition of that record and I'm very proud of that work. I would also say the song "Incredible Machine" might be, between that and....there was an old Billy Pilgrim record, it was the last one that came out called "In The Time Machine" that had a song on it called "Blind Spot". Those two are my pinnacles I think so far. Trailer Hitch was recently announced as the first top twenty track for your record label, how did that feel? That is the most humbling and validating feeling ever! [laughs] You forget how hard it is to get a song into the top twenty and then to have it be the first single off my record, it's a huge shot of encouragement. You recently released Light Me Up as the album's second single, how do you find the response has been to the previewed music from the fans? Well you know, they haven't really told me what the second single is! [laughs] So I think you're within the first day of that conversation is going on right now. If "Light Me Up" is the way, I love it. I don't ever pick singles, I never have. I never picked a Sugarland one and I don't intend to start now. I really leave that to the record folks and the radio folks. I love all the songs and if that's the one I think that it's a fantastic choice. Sometimes people know things before I do, the artist is the last to know! [laughs] That's okay, I play all the songs! How do you balance your home life and your music life? I connect with my kids as often as I can and I make them now a part of what I do rather than before I was kind of keeping them at a distance. I'd catch them up on what was happening afterwards. Nowadays, they were involved in helping pick the record, they hang out on the floor of the studio. How did you manage to get the twelve tracks for the record from the hundreds you've written? I asked my kids [laughs] I did that and then I actually asked fans, I started putting a song up every Monday. Between those two things and a little bit of asking myself where I am and where I want to go, I was able to narrow it down to twelve songs. What is a typical day like for you at the moment? You wouldn't believe my typical day, it includes having a conversation with you while I'm being shuffled off to the CMAs before I walk in and play four songs with someone I haven't seen in like a month and a half. So my whole life right now is a series of saying 'yes' , smiling and walking through the next door that's in front of you. It's a very good life, it's very improbable, it looks probably impossible but is absolutely the most fun thing ever. Well, I don't consider this record a side project, I consider it a parallel project. Which means I'm going to be busy because I'm going to have two jobs, I see whenever Sugarland comes up to also do that! Who would you say is top of your artist to watch list this year? Canaan Smith, he's a great artist, one of my dear friends and I've got to say, he's probably one of the great breakout artists in country music that we haven't heard yet. Will we get to see you back touring the UK soon? I hope so, as soon as possible. I haven't seen it appear on my schedule yet but I am really excited to be back. You guys were the beginning of my conversation with "Love Or Money" so I can't wait to be back. Thanks to Kristian for his time, he is certainly a really humble, sweet person. There should be no doubt that Southern Gravity is absolutely brilliant, Kristian should be really proud of it and I would urge everybody to purchase it as soon as possible. Kristian is clearly a talented singer and song writer and each track on his album is different enough to encourage the listener to continue whilst still having a quintessential 'sound'. I can see Southern Gravity being one of the best albums of the year and I really hope it does well for Kristian, love it!